Made of stainless steel. Practical for a rapid measuring. 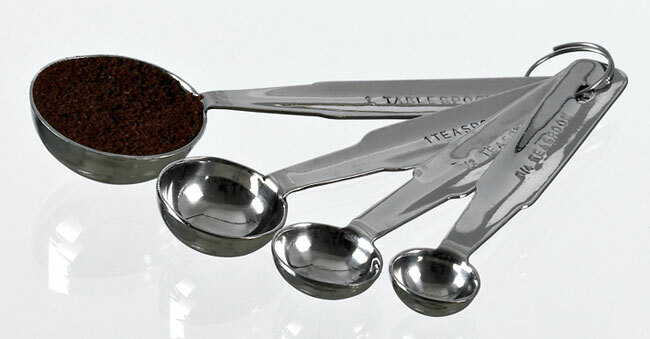 Set includes 4 sizes of spoons: 1/5 Teaspoon 1/16” Dia., 2/5 teaspoon 1” Dia., 1 Teaspoon 1-1/5” Dia. 1 Tablespoon 1-1/2” Dia.